When considering the factors that control respiration, most studies use either ventilation or phrenic nerve output as a summary measure of ventilatory output. 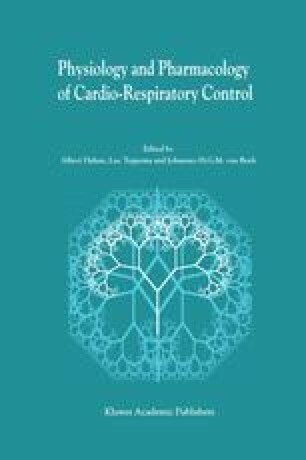 However, in recent years it has become clear that the respiratory muscle control may not be uniform, and that different respiratory stimuli may change the respiratory muscle drive in different ways. For example, the hypoglossal nerve and phrenic nerve have different responses to changes in peripheral and central stimuli. Carotid sinus nerve section decreases hypoglossal activity more than phrenic, and local medullary cooling to reduce central chemoreceptor activity has the opposite effect.1 Since these nerves control muscles that play different parts in the respiratory process, it is likely that their pattern of activation would be different, but this does not account for differences in response to stimuli.